See your roof type below to learn which products we recommend and how to properly apply them. Our roof coating should adhere directly to all metal roofs without the need of a primer, as long as the roof is cleaned prior to application. A standard power washing with a minimum of 2,000 psi will prepare the surface for coating application. A primer is required with our coating if rust is present on the roof surface, to ensure the rust doesn’t continue to develop and spread beneath the coating. As always, we recommend purchasing a Roof Coating Test Kit first to ensure that our material adheres to your specific substrate. Our roof coating adheres to most built-up roof surfaces without a primer. However, to ensure proper adhesion, we recommend cleaning a small area of the roof, purchasing a Roof Coating Test Kit, and verifying our coating’s adhesion to your roof by executing a roof coating adhesion test. This will ensure that your system is compatible. 3.0 gallons per 100 square feet. 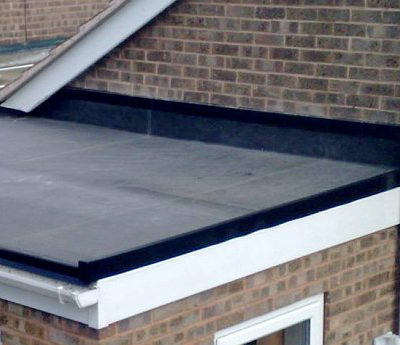 Our roof coating adheres to most EPDM roof surfaces without a primer. However, to ensure proper adhesion, we recommend cleaning a small area of the roof, purchasing a Roof Coating Test Kit, and verifying our coating’s adhesion to your roof by executing a roof coating adhesion test. This will ensure that your system is compatible. 2.0 gallons per 100 square feet. Our roof coating adheres to most PVC and TPO roof surfaces that are greater than 5 years old without a primer. 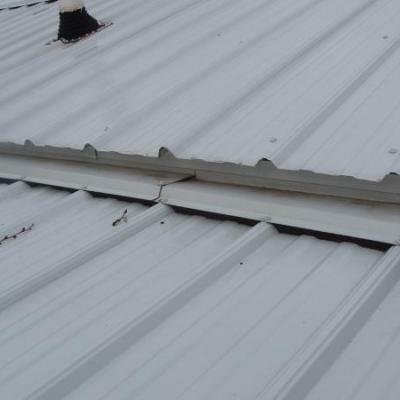 However, to ensure proper adhesion, we recommend cleaning a small area of the roof, purchasing a Roof Coating Test Kit, and verifying our coating’s adhesion to your roof by executing a roof coating adhesion test regardless of roof age. This will ensure that your system is compatible. 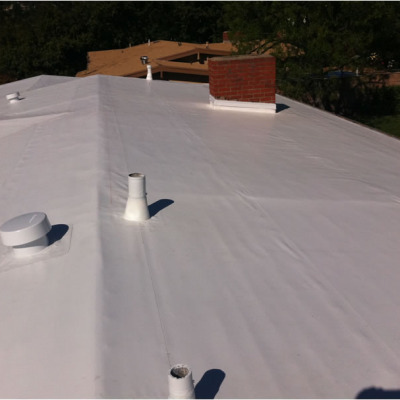 If your roof is less than 5 years old, you must use our single-ply primer. Our coating adheres directly to sprayed polyurethane foam in nearly all cases without the need for a primer. However, because every roof is different and to ensure proper adhesion, we recommend cleaning a small area of your roof, purchasing a Roof Coating Test Kit, and verifying our coating’s adhesion to your roof by executing a roof coating adhesion test. This will ensure your foam roof is compatible with our coating. 1.5 gallons per 100 square feet. 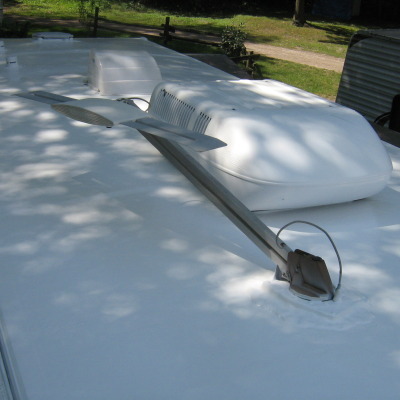 Our roof coating adheres to most RV and camper roof surfaces. However, to ensure proper adhesion, we recommend cleaning a small area of the roof, purchasing a Roof Coating Adhesion Test Kit, and verifying our coating’s adhesion to your roof by executing a roof coating adhesion test. This will ensure that your system is compatible prior to purchasing roof coating.